Francis Spufford tells the fascinating story of Lenin's supposed 1907 visit to the English garden city, and considers its impact on the Russian revolutionary and English socialism. In 1907 Vladimir Ilyich Lenin attended a congress of exiled communists in London that helped plan the revolutionary overthrow of the Russian tsar a decade later. It was during this momentous event that the Soviet Union's future leader is said to have visited the English garden city of Letchworth. Firm evidence of Lenin's presence in Letchworth is tantalisingly hard to find. But the very idea of the single-minded Russian revolutionary finding himself among the English radicals of rural Hertfordshire - people whom George Orwell described as the "fruit-juice drinking" and "sandal-wearing" classes - is a suggestive one. What could turn-of-the-twentieth-century English socialists, committed to notions of healthy living, fulfilling work and parliamentary democracy, teach the self-proclaimed leader of the Russian workers and peasants with his implacable revolutionary fervour and appointment with destiny? 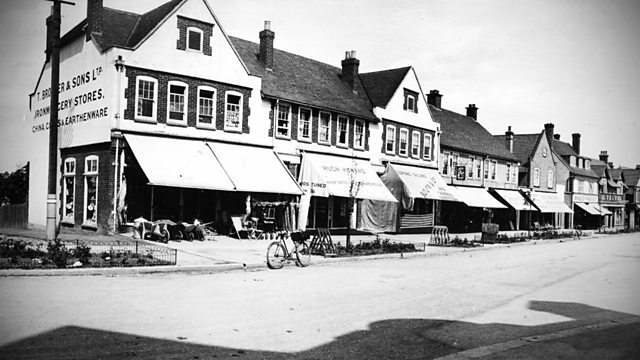 Francis Spufford visits Letchworth to investigate the background to the story. He finds out why Lenin might have made the journey and discovers who and what he may have seen and the effect which he might have had on the locals. Francis also reveals what lasting impression the trip into the Hertfordshire countryside may have made on Lenin and how it seems to have shaped the physical design of Moscow and Stalingrad. Among those taking part are: Dame Antonia Byatt, the author and authority on turn-of-the-twentieth-century writers; Dr. Tristram Hunt, the historian of the Victorian city and the biographer of Engels; Sheila Rowbotham, the leading authority on English Edwardian radicalism; and Ken MacLeod, the science fiction writer and committed socialist.